Manarat Al Saadiyat (MAS) in Abu Dhabi has launched a new film festival called CineMAS which will run between April 16-20. It’s always good news when a film festival is launched here, even if it is a small one. CineMAS aims to show a diverse selection of film. 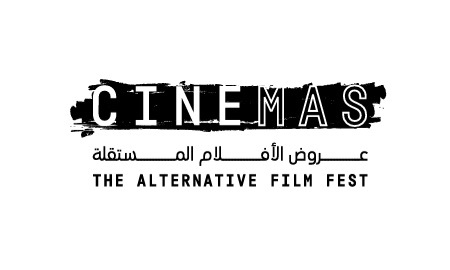 Its tagline says Alternate Film Fest, but the Arabic text says أفلام مستقلة (Aflam Mustaqila which translates to Independent Film), two very different meanings which I hope they fix if this will be an annual event. The festival website links to a PDF of the catalogue to see all the details which includes film screenings, talks and workshops. I’ve listed below the films in the order of screening dates and time and I also listed the talks and workshops in the end. Tickets for the screenings can be bought on Platinum List. Screenings in The Auditorium cost AED 30 and the outdoor screenings in The Garden cost AED 20. Students pay AED 15. The festival will open with Free Solo to an invited audience only. The film won an Oscar for Best Documentary this year. It’s a National Georgraphic film co-produced by Image Nation Abu Dhabi. It’s already been shown on the National Geographic channel locally, so it’s an absolute shame (and also quite baffling) the film won’t receive a wide theatrical release in cinemas across the UAE after it opens the festival. Free Solo has and continues to be shown in many cities across the world, and it’s a pity a wider audience in the UAE won’t get a chance to see it on the big screen, as it should be seen, based on its highly talked about cinematography. The festival has 14 films in the line-up and includes some critically acclaimed and award winning features and documentaries. 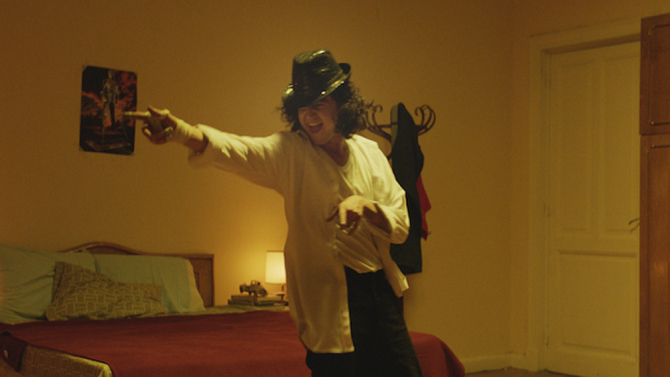 There are films from the Arab world and beyond, including Nadine Labaki’s Capharnaum, which incidentally received a wide theatrical release in UAE cinemas since March 14 and is still showing in some cinemas till now. I strongly recommend you don’t miss Shoplifters by Hirokazu Kore-eda, one of my favourite films from last year. If you only have time to see one film, make it for this one. I am also curious about Marlina the Murderer In Four Acts and Garry Winogrand: All Things are Photographable, the only two films from the festival, besides Free Solo, that I have not seen. Here’s the line up, and at the end you will see the list of talks and workshops, which are free to attend. The entire event will take place in Manarat Al Saadiyat. Professional rock climber Alex Honnold attempts to conquer the first free solo climb of famed El Capitan's 900-metre vertical rock face at Yosemite National Park, without a rope. A stunning, intimate and unflinching portrait of Honnold as he prepares to achieve his lifelong dream. Beshay - a man cured of leprosy - has never left the leper colony in the Egyptian desert where he has lived since childhood. Following the death of his wife, he finally decides to go in search of his roots. With his meagre possessions strapped to a donkey cart, he sets out. 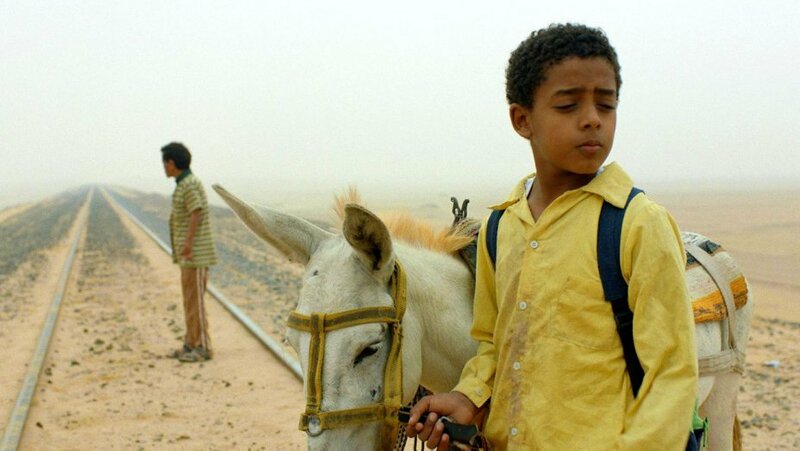 Joined by Obama, the Nubian orphan he has taken under his wing, Beshay will cross Egypt and confront the world with all its sorrows, its hardships and moments of grace, in his quest for a family, a place to belong, a little humanity. Capharnaum recounts the journey of 12-year-old Zain, who decides to sue his parents for having brought him into this world when they can’t raise him properly, even if only to give him love. The fight of this mistreated boy, whose parents have not lived up to their task, resonates like the scream of all those who are neglected by the system. A universal accusation seen through candid eyes. 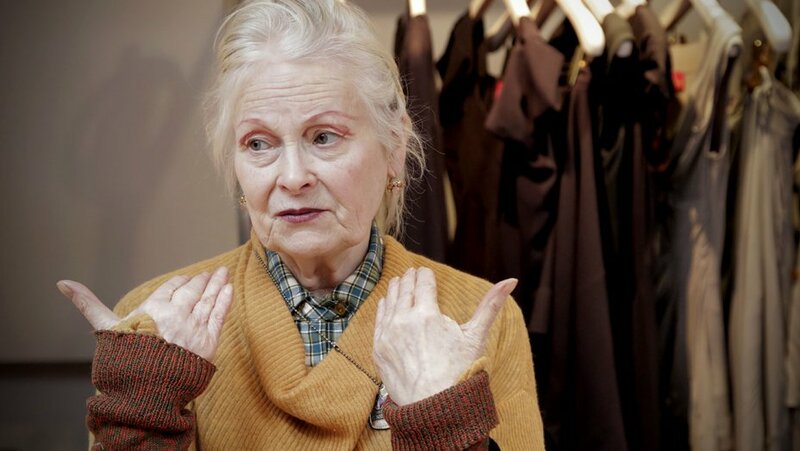 This documentary chronicles the life, work and cultural impact of British punk fashion designer Dame Vivienne Westwood while also portraying the septuagenarian's efforts to incorporate environmental practices into her eponymous fashion label. Archival photographs and footage are interwoven with behind-the-scenes access and interviews with her industry contemporaries, including supermodels Kate Moss and Naomi Campbell and former Vogue editor André Leon Talley. Pope Francis, who became the the 266th pope of the Roman Catholic Church in 2013, communicates his vision for his faith through interviews as well as footage of him giving speeches and living out the values he espouses. Pope Francis directly answers questions about faith from people of all ages and circumstances, including children, refugees and prison inmates. This documentary also compares Pope Francis with his namesake, Saint Francis of Assisi, who was concerned with the poor and marginalized and protecting the environment. The film will be followed by a Q&A with the producer David Rosier. Exploring the pre-fame years of the celebrated American artist Jean-Michel Basquiat, recounting and contextualizing his early career and commercial success, and how New York City, its people, and its tectonically shifting arts culture of the late 1970s and '80s shaped his vision. The women who were integral to his survival in this period are interviewed, as well as his street art contemporaries and icons of hip-hop culture, which informed his art before his death from a heroin overdose at age 27. Michael Jackson's death on 25 June 2009 creates the setting for this movie, as the news of his demise takes an Islamic cleric, known as "Jackson" during his school days, by surprise. But what does a preacher have in common with the King of Pop? The struggle to reconcile his role as a preacher with his past life and relationships raises the question: is he the Sheikh, Jackson, or both? In Damascus, young pharmacist Sana is trying to give her son as normal a childhood as possible. It is 2012, the start of the war in Syria, and water, gas and electricity are scarce. Sana sets off on a search for gas bottles that quickly gets out of hand after she encounters an unexpected roadblock, experiencing the kindness of strangers, but also her worst nightmare. The film will be followed by a Q&A with the director. In the deserted hills of an Indonesian island, Marlina, a young widow, is attacked and robbed for her cattle. To defend herself, she kills several men of the gang. Seeking justice, she goes on a journey of empowerment and redemption. But the road is long, especially when the ghost of her headless victim begins to haunt her. It is a startlingly personal profile of the critically acclaimed artist, chronicling her remarkable journey from refugee immigrant to pop star. In Damascus, young pharmacist Sana is trying to give her son as normal a childhood as possible. It is 2012, the start of the war in Syria, and water, gas and electricity are scarce. When a middle-aged housewife learns that her husband will take a second, younger wife, she's forced to take drastic measures. A blend of comedic spark and timely feminist subtext, Amra and the Second Marriage is an engaging and richly detailed snapshot of modern middle-class Saudi society. On the margins of Tokyo, a dysfunctional band of outsiders is united by fierce loyalty and a penchant for petty theft. When the young son is arrested, secrets are exposed that upend their tenuous, below-the radar existence and test their quietly radical belief that it is love — not blood — that defines a family. 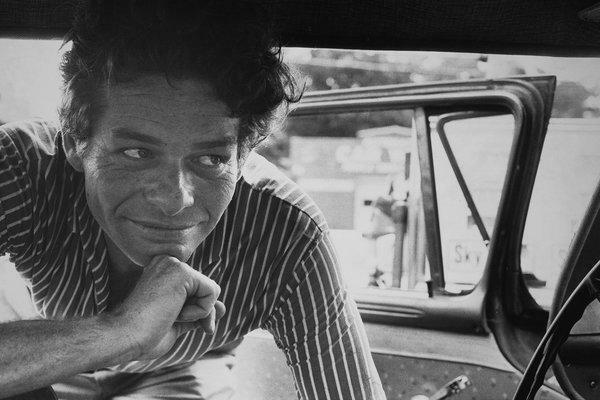 Chronicling the life and career of American street photographer Garry Winogrand, this documentary covers his work through three of the most pivotal decades in mid-20th century history. Growing up in the Jewish area of the Bronx, Winogrand photographed everyday life in and amongst the historical and social changes of the eras. After his death, Winogrand left behind a vast amount of undeveloped film rolls, the contents of which are known by few. Bing Liu follows his own long-time friends over a decade as they come of age in the declining Rust Belt town of Rockford, Illinois. Caught between tumultuous relationships with their own families and bleak future prospects, they religiously pursue skateboarding for an outlet and a sense of community. As they become young adults, their camaraderie is strained by the weight of an unexpected fatherhood, racial identity issues, and unresolved domestic trauma.